Under NSN umbrella we started an installation project of 4G LTE devices in South Germany. In 2016 still ongoing! New country, new project: a complex 2-year swap poject in the Netherlands started at the end of 2013. A new big project with Huawei: 2G/3G swap in the Eastern region of Vodafone. We install ZTE Equipment in the Southern region of E-Plus Germany, RRH technology. Two new projects start with Huawei: 2G swap and new LTE sites for Telekom Deutschland in East-Germany. After the successfull completion of the SWAP 2G project in Vivatel, HTM Bulgaria began installations of MW systems 9500 MXC in the network of BTC Vivatel as a subcontractor of Alcatel-Lucent. Installation of transmission technology equipment in Poland, ordered by Ericsson. Moldavia, Orange 3G system, MPLS project: HTM Magyarország Kft as installer. 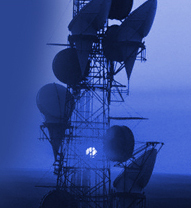 Please get aquainted with our telecommunication services.